Arrow points to LSM 34. Ralph wrote that this was practice exercise for the landings in the Philippines. According to my late father-in-law, Ralph E. Robinson, on Landing Ship Medium 34 this is a photo of a practice exercise for the landings in the Philippines. 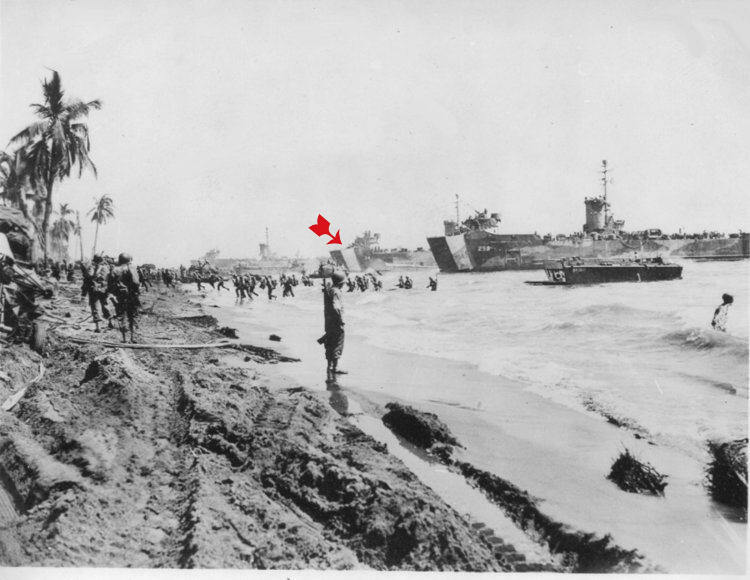 Navsource.org states this is a photo of the unloading of troops and supplies on White Beach at Leyte in the Philippines. 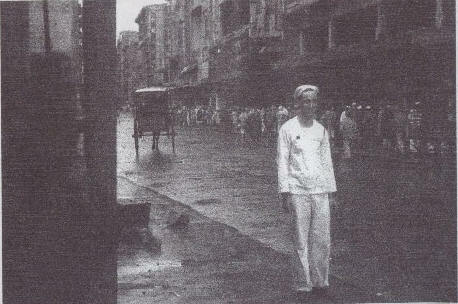 No matter which this is, this photo is an excellent illustration of what Ralph continued to do 65 years ago this month: delivering supplies to troops in the Philippines and training with the Army for the invasion of Japan tentatively scheduled for as early as September, 1945, in about three months. 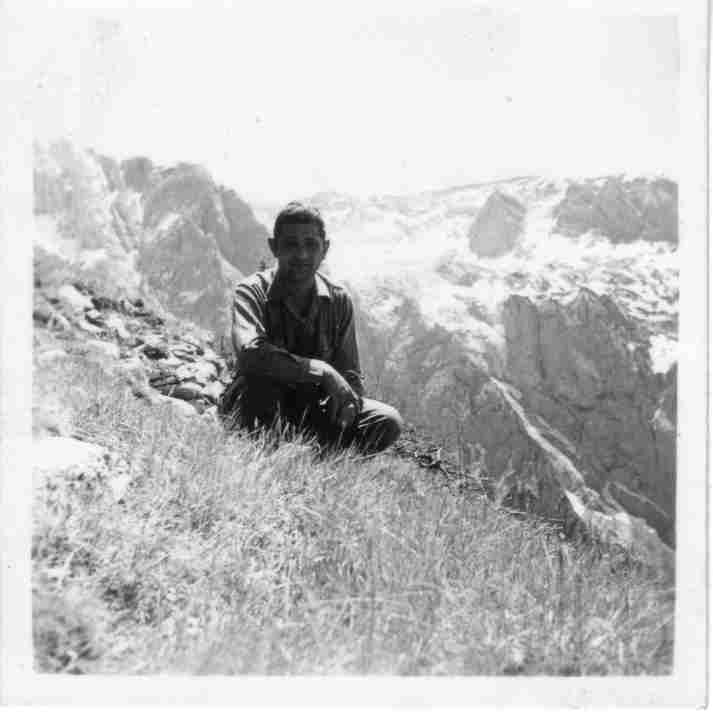 Felix A. Cizewski in Garmisch-Partenkirchen, Austria, sometime between about May 9 and July 15, 1945. Meanwhile on the other side of the world, Felix continued to tour along the German-Austria border. He visited Garmisch-Partenkirchen, Austria probably at the same time he visited Hitler’s nearby Eagle’s Nest. Men with sufficient service where being transferred to other units for return to the United States. Men without enough service for discharge were being transferred to the 45th Infantry Division from other units. The 45th may not yet have been informed if they would continue on occupation duty or would be transferred to the Pacific and the war with Japan. Please subscribe. For instructions and help, click here. Felix & Anne about 1980. After returning from the war, Felix reclaimed his interrupted life. He resumed work as a tractor-trailer driver. He met Anne Marie Lovetere at one of the places where he was making a delivery. When he asked her out, she replied that she wasn’t allowed to date other employees. He replied that since he was driver for another company, they could date. On June 14, 1947, Less than two years after his discharge, Felix and Anne were married. Felix had annulled a war time civil marriage. His older brother Joseph certified to Anne’s parish that Felix had no prior Roman Catholic marriage and therefore was eligible to be married in the church. 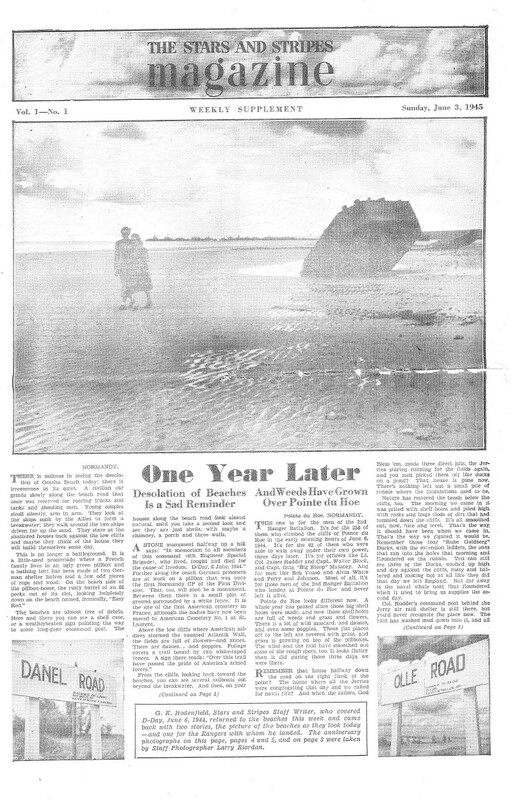 Anne reports that Felix’s hands and feet were still fragile from the frostbite he suffered in 1944. She also reports he suffered from nightmares. After trying several other jobs, Felix returned to what he knew and did best, driving a tractor-trailer. In addition to having primary responsibility for the family, Anne worked at various secretarial and clerical jobs. They had four children and four grandchildren. 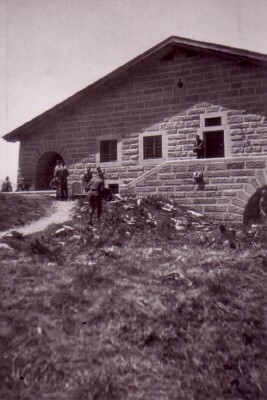 My late father, Felix A. Cizewski, visited Hitler’s Eagle’s Nest near Obersalzberg, Germany, south of Munich in the Bavarian Alps. I can’t determine the exact date but it was sometime between the end of the war in Europe on May 8, 1945 and the movement of the 45th Infantry to Reims, France on July 15, 1045. On our family history website is a copy of Felix’s tour map. Meanwhile the other side of the world, my late father-in-law, Ralph E. Robinson, on Landing Ship Medium 34 continued delivering supplies to troops in the Philippines and training with the Army for the invasion of Japan scheduled for about September, 1945, in about three months. All eight pages have been posted on my family history website. Felix’s copy has been donated to the Illinois Holocaust and Education Center in Skokie. 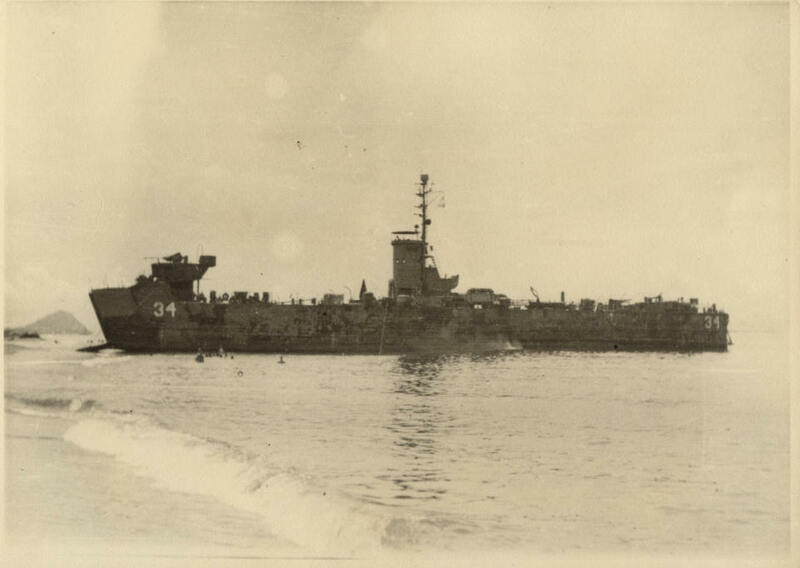 On the other side of the world, my late father-in-law, Ralph E. Robinson, on Landing Ship Medium 34 continued delivering supplies to troops in the Philippines and training with the Army for the invasion of Japan scheduled for about September, 1945, in about three months. USS LSM-34 on beach somewhere in the Philippines, date unknown.